Harmony Creek Community Centre A pleasant and inviting venue, featuring a selection of halls and facilities available to rent. 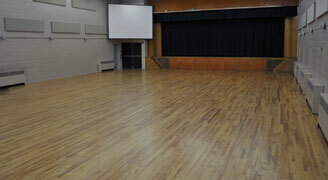 A pleasant and inviting venue, featuring a selection of halls and facilities available to rent. The best way to get to know more about Harmony Creek is to book an appointment and come in to see us. Of course, we realize that lives are busy, so we've created profiles and content on various social media. Click the links below to check us out. We have several spaces available, capable of handling just about any event where people come together. The main auditorium offers flexible venue for weddings, banquets, performances, corporate events, or family parties and accommodating up to 400 people. Additional services available include sound, lighting, video and stage system, and various levels of catering services. This gym is a flexible space that can host a variety of community events. Many such events include wedding banquets, sporting events, theatrical presentations, conferences, trade shows, community programs, polling stations, Jack and Jill events, retirement and graduation parties. This unique venue offers a smaller intimate setting where groups of up to 20 people can gather around smaller two seater round tables and enjoy a social or community event. Nestled in the Main building of the campus is the Harmony Creek Cafe. This unique venue offers a smaller intimate setting where groups of up to 20 people can gather around smaller two seater round tables and enjoy a social or community event. 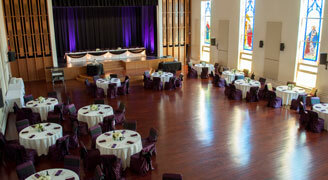 This space is ideal for club gatherings, adult birthday parties, annual meetings and other mid-sized events. 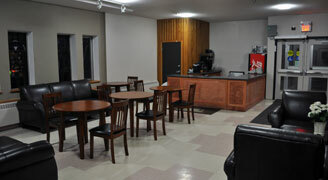 Coffee house beverages and desserts can be provided to fit your desired event needs. 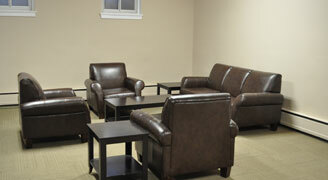 Throughout the facility there are a variety of other rooms that can be rented to accommodate a wide number of events. These include the lower lounge. This room has a kitchenette area and comfortable lounging area with couch and chairs, leaving ample room to set tables and chairs for up to 35 people. 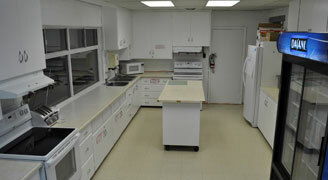 The kitchen is a spacious, modern and fully equipped area for food preparation and service. It contains two stoves, cooler, warming ovens, microwave, and industrial dishwasher which can reduce the time of clean up of any event. 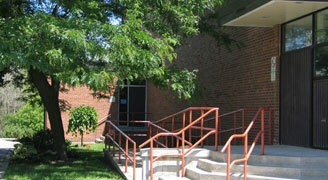 Entrance to building is located on the west side of the building. An inviting, accessible entry leads directly into the Cafe, where the inner hallways and stairs lead conveniently to other spaces within the facility. Edukids Child Care Centres are located throughout the Greater Toronto Area where we have been providing quality licensed childcare for over 30 years. Edukids’ provides full time, part time, and before and after school care for children from newborn to twelve years old. At Edukids your child’s safety and well being is our number one priority, and our staff truly do make the difference! Upscale Music Studios originated from a demand for theoretical subjects in class form. Since its’ beginnings UMS has grown to include private lessons in most instruments and voice. We are committed to offering students a thorough, interactive and fun education. Students have bonded with those of similar interests while developing a drive to succeed musically and theoretically. Teachers are fully qualified or are taking advanced lessons under the tutelage of a senior teacher. Our organization gives you the opportunity to meet people who have also been through the experience and discouragement that accompany the absence of a partner. You can share your experiences. You will gain new confidence when you discover others who have established a new way of life. You will make new friends that you will have for life. Great Canadian Wrestling (GCW) is an Oshawa-based independent wrestling company offering a unique platform to showcase the top wrestling talent that Canada has to offer. Since its inauguration in 2005, GCW has expanded to promote events in cities across Ontario, hosting 23 shows in 2007 alone. As a strong supporter of Sick Kids, Great Canadian Wrestling truly believes in giving back to the community. The company is proud to present fans of all ages with a regional source for wrestling entertainment as an alternative to the mainstream companies. Please make an appointment to visit us. We'd love to meet with you and discuss the many ways you can use our facility.